Let’s take a look at the pattern Noun + 뭐라 그래(?). The noun here should be any person because only people have the ability to talk, not things or places. 뭐라 is the short form of 뭐라고 which is used as a question to ask what somebody has said as in 뭐라고? (what did you say). 뭐라 그래 on the other hand means what are you gonna tell somebody especially in problematic situations. For example, your friend lied to her boyfriend but he caught you eventually. 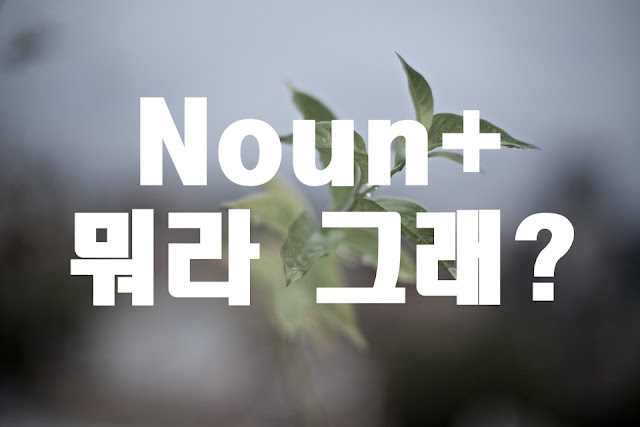 In this case, you would anxiously ask your friend, “What are you going to tell him?” or “What are you gonna say?” Take note that you need to attach 한테는 to the noun to represent the preposition to. Just add 요 at the end to show politeness. What will you tell Dr. Nam? What are you gonna say to mom? What will you tell dad? What are you gonna tell Haewoong? What are you going to say to Youngju?